The Pinnacle | MJ Recruiters is Recruiting Firm of the Week in Top Echelon! 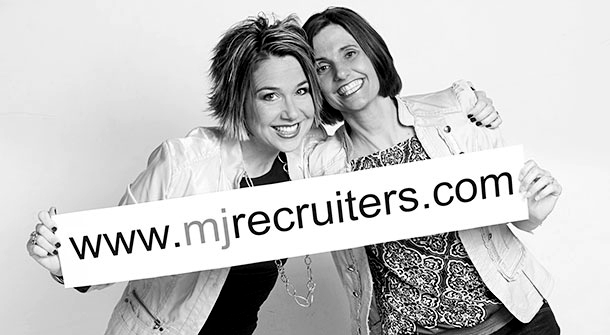 MJ Recruiters: Recruiting Firm of the Week in TE! We usually name a Recruiter of the Month and a Recruiter of the Week in The Pinnacle Newsletter Blog. We haven’t named a Recruiting Firm of the Week . . . until now. So that means today is the firm’s 10th anniversary in Top Echelon Network, and what a 10 years it has been! MJ Recruiters has made a total of 121 placements in Top Echelon during that 10-year span, a healthy average of over 12 placements per year. Maria Hemminger has made 101 of those 121 placements, while Joanna Spaun has made the other 20. However, both Maria and Jo play integral roles within the firm, each executing their roles to perfection, especially in regards to their activity in the Network. We’ve publicized their exploits before in the blog post “5 Reasons MJ Recruiters is the Perfect Split Placement Agency.” This article provides the blueprint for what it takes to be successful as a member firm in Top Echelon Network. That, in a nutshell, is why MJ Recruiters is the Recruiting Firm of the Week. Not just because they’re celebrating an anniversary, but because they recognize what’s necessary to be successful in TE and they’re willing to do what’s necessary to be successful. MJ Recruiters is indisputable proof that the Top Echelon system works for those recruiters who are committed to the system and willing to make the appropriate investment of time, energy, and effort. Maria and Jo have received a sizeable return on their investment, they’ve made a LOT of friends along the way, and if there was ever a Top Echelon Hall of Fame (and who knows, maybe one day there will be), they would definitely be in it. So congratulations to MJ Recruiters . . . on their anniversary and on being named the Recruiting Firm of the Week in TE. Here’s to 10 more years and another 121 placements!